Jayme was practically born into the business, watching her mother, Eudice, work with clients and negotiate deals her whole life. She joined Eudice in 2013 and together they formed The Fogel Group. The Fogel Group assists buyers and sellers of all price ranges -- from listing luxury single family homes to helping first time buyers navigate their first purchase. Clients love the personalized service and individual attention that Jayme and Eudice provide each and every buyer and listing. Prior to her work in real estate, Jayme spent almost 10 years working in Account Services in advertising. Her background in team collaboration and her time spent in the client service role have made her transition into real estate a very smooth and natural one. Jayme is ecstatic to work in tandem with her mother and to continue to deliver personalized service, commitment, and energy each day to their clients. Jayme grew up in Lincoln Park, attending both public and private schools in the city. 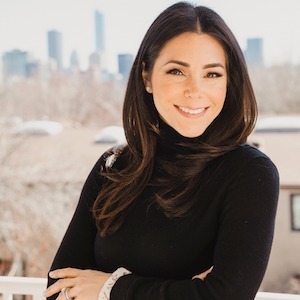 Jayme attended the University of Michigan and spent four years living in New York City – a great way to gain perspective on real estate! She can provide firsthand knowledge on raising children in the city and navigating the Chicago school system. Jayme and her husband, Andy, live in Lincoln Park with their sons, Asher and Dylan, and their mini golden doodle, Archie.